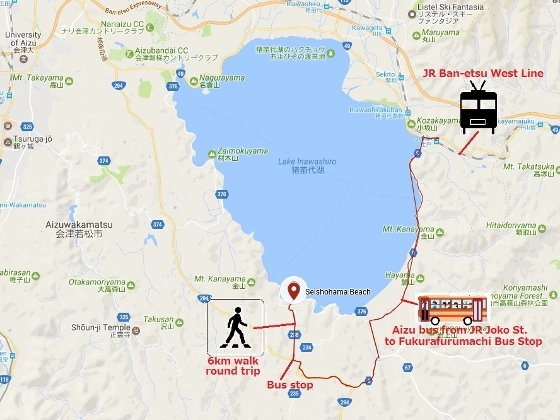 Shirakawa which is located in the central southern part of Fukushima had been an important strategic site back to an ancient Kofun or Tumulus period. Today most of the relics are gone, but some of them have been found or excavated and preserved in history museums. Only few of them have been restored like the one in a photo above. 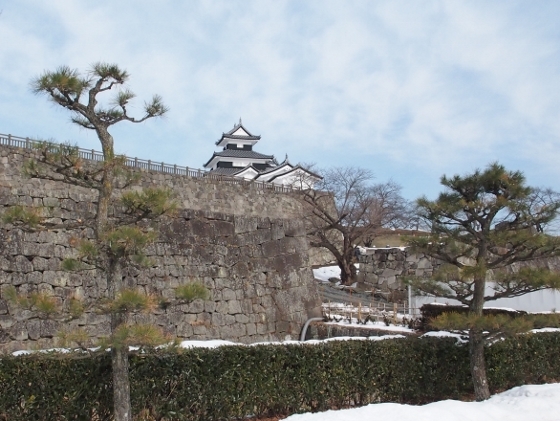 This is Kominejo Castle originally built in the middle of 14th century by Yuki Chikatomo, Shirakawa lord of the time. The robust stone walls you can see in front were added by the 1st Shirakawa Domain lord Niwa Nagashige in early Edo Period. 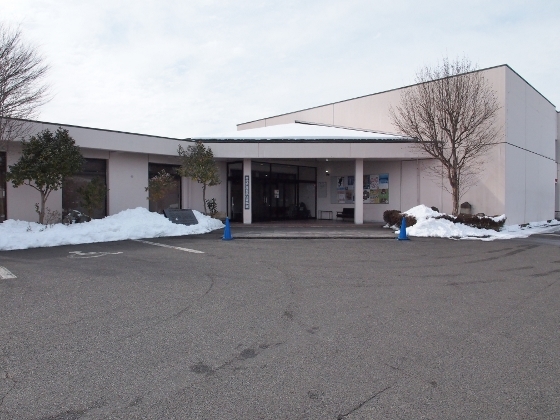 Some of the artifacts found from ancient tumuli between 3rd and 7th century were preserved in Shirakawa history and folk culture hall shown above. Photo above shows beautiful cut crystal ornaments found from 6th century Shimousazuka Kofun (tumulus). 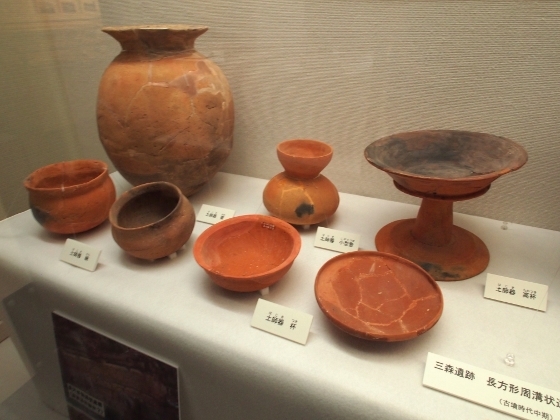 All these artifacts shown above were found from 5th century Mimori site. Photo above shows similar artifacts found in the adjacent old administration site Sekiwagu. 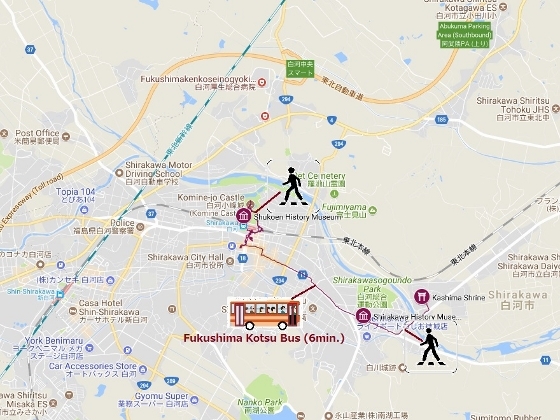 After Heian Period ended and the following Kamakura Period started in 1192, which was samurai period, Shirakawa Yuki samurai family controlled Shirakawa area for about 400 years. 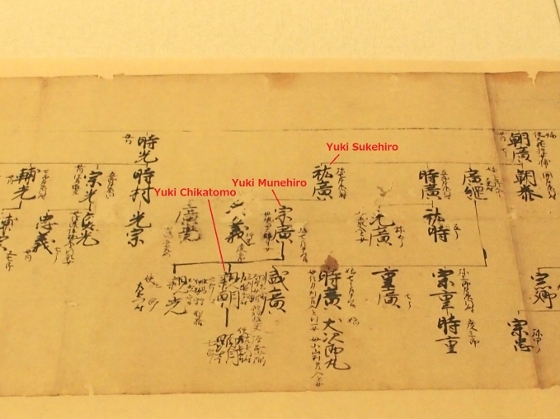 A number of old documents related to the family were preserved in Shukoen Museum shown above. The oldest one was written in 1264. 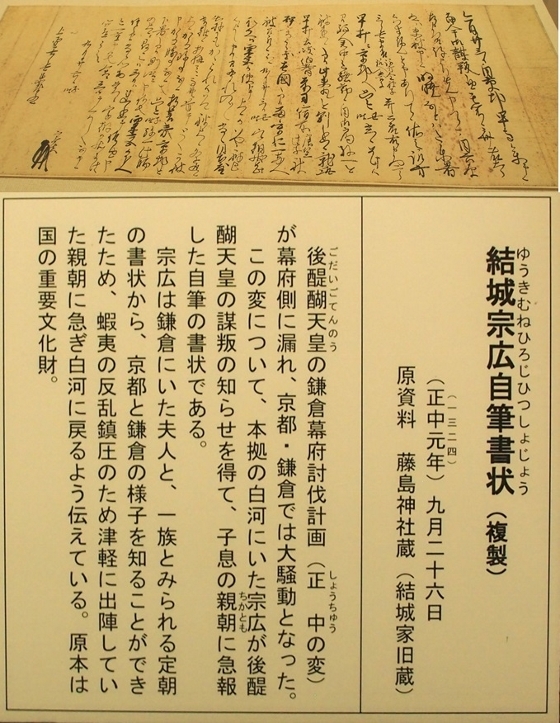 This set of documents called “Shirakawa Yuki family Monjo or documents” was designated as a National important cultural asset. 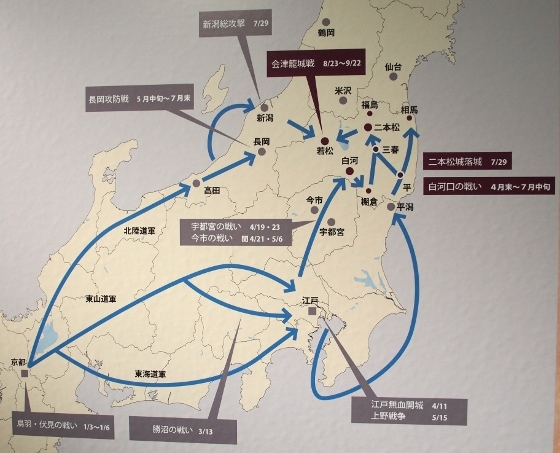 One of them that shows a long family tree of Shirakawa Yuki family is shown above. Yuki Sukehiro as pointed above was a founder of the family. Big names such as Yuki Munehiro, and Yuki Chikatomo follow. Yuki Munehiro (1266-1339) was a powerful lord at the time and battled across Japan. 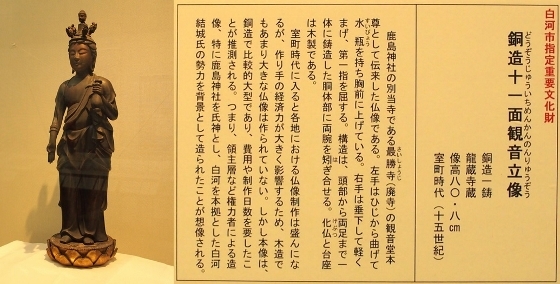 Photo above was a letter written by himself in 1324 to his son Chikatomo. 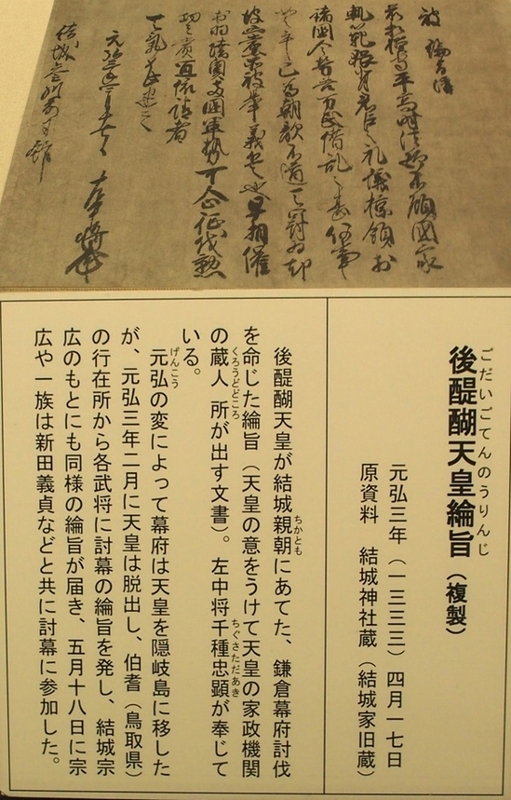 Phot above was a written order by Emperor Godaigo to Yuki Chikatomo issued in 1333. The color of the paper is dark due to recycling paper. Kashima Shrine as shown above has been a major shrine in this region since it was built in 14th century. This was a guardian deity of Shirakawa Yuki family. 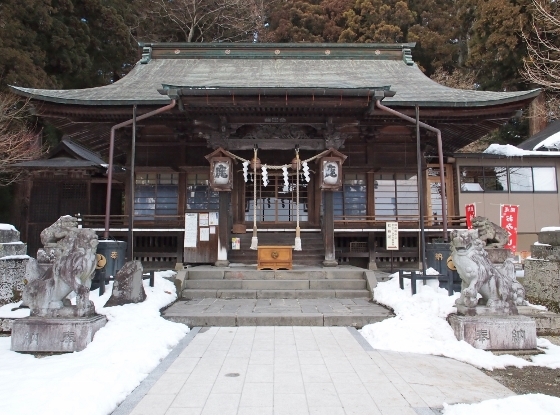 The shrine stood right next to the Abukuma River. 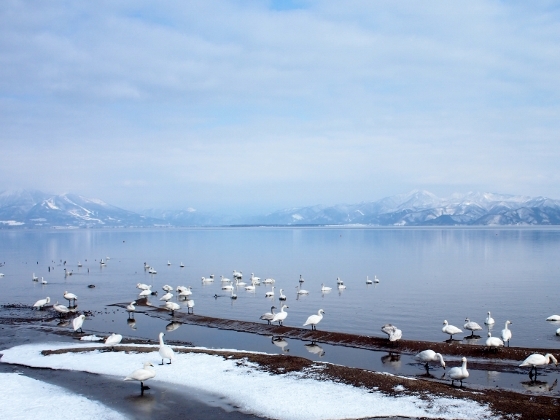 As I walked across the Kashima Bridge over the Abukuma River, I found a small group of swans (about a dozen) gathered around a small island in the river as shown above. It was nice to view. The photo shows a bronze eleven-faced standing Kannon statue made in 15th century. It was believed that the cost of making such a precious statue was funded by the powerful Shirakawa Yuki family at the time. 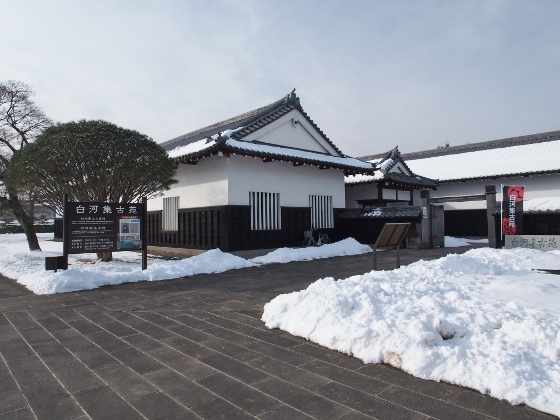 Entering Edo Period, Shirakawa Domain was controlled by 21 lords between 1627 and 1867. One of the lords, Matsudaira Sadanobu was outstanding. Hirose Mosai was the 2nd professor for a samurai school Rikkyokan established by the lord. He documented regional history and culture in Shirakawa Fudoki in 1805, as shown above. 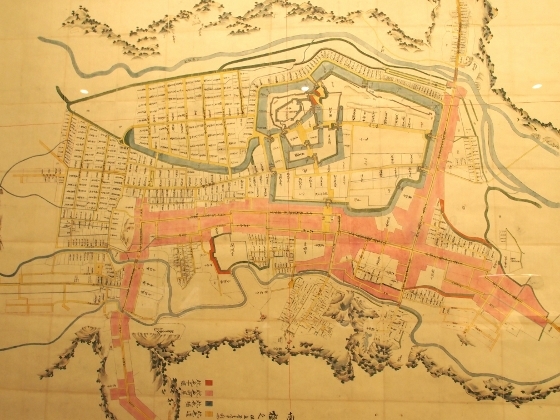 Detailed map of Shirakawa castle town at the time of the lord, as shown above, was also made in 1808. During the last year of Edo Period, which was 1868, there was a series of fierce civil war occurred across Japan. Boshin Civil War started from Kyoto on January of 1868. 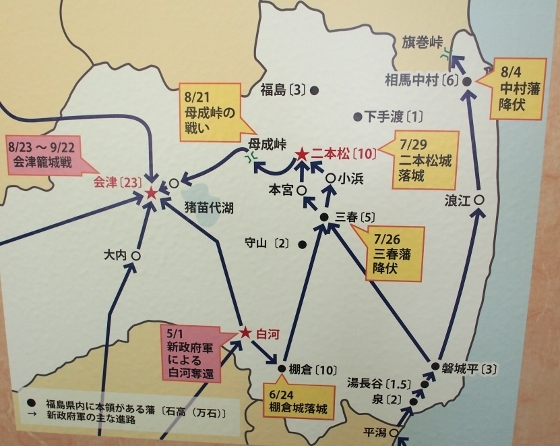 The battle moved gradually to northeast as shown in the picture above and finally reached Fukushima on May. 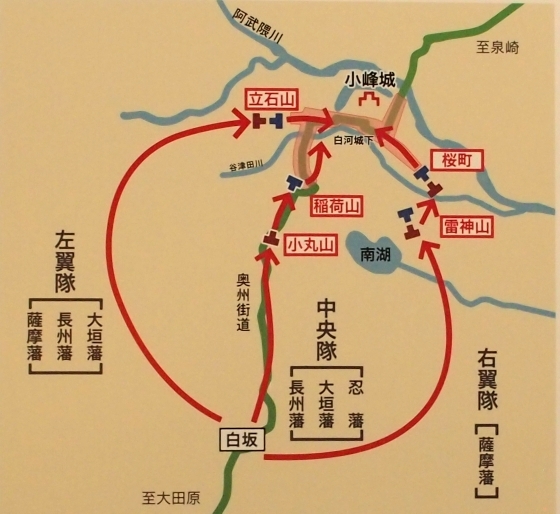 The 1st battle in Fukushima was fought at Shirakawa on the 1st of May and gradually expanded across the prefecture as shown in the picture above. It ended on 22nd of September at Aizuwakamatsu and the new government forces won. A picture above shows how the new government forces moved toward Kominejo Castle strategically, using three routes on the 1st of May. This battle was called Shirakawaguchi Battle and over 1,000 soldiers died including both sides. 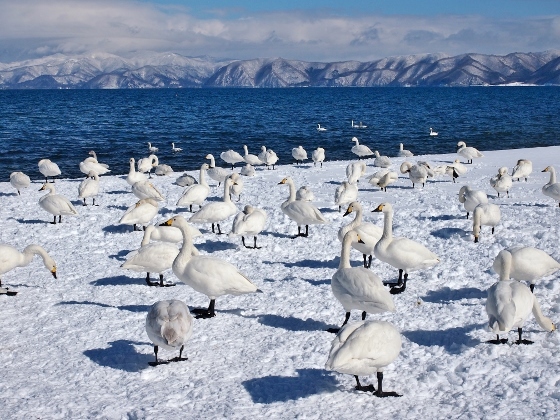 I visited today southern edge of Lake Inawashiro, where a number of swans stay during winter to early march every year. 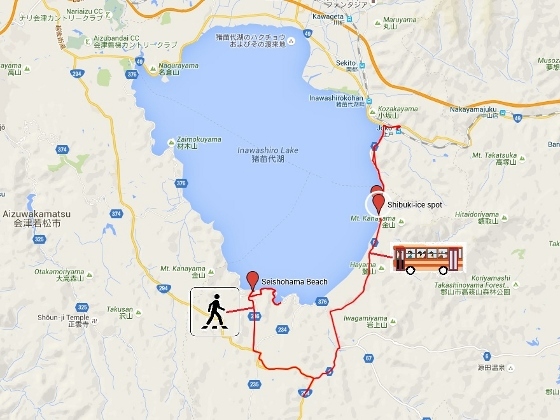 The location is called Seishohama Beach at Konanmachi, Koriyama City. A photo above shows today's morning view. 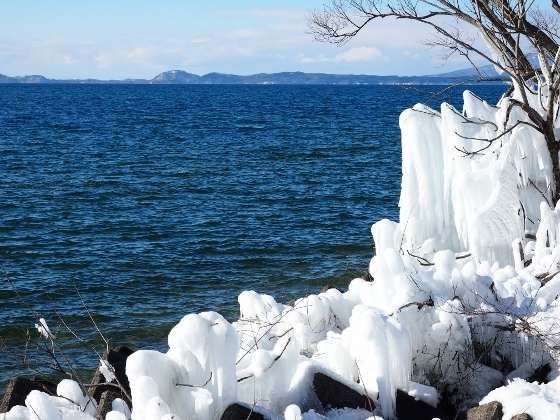 Although it was cloudy above the lake, still a splendid view could be seen. 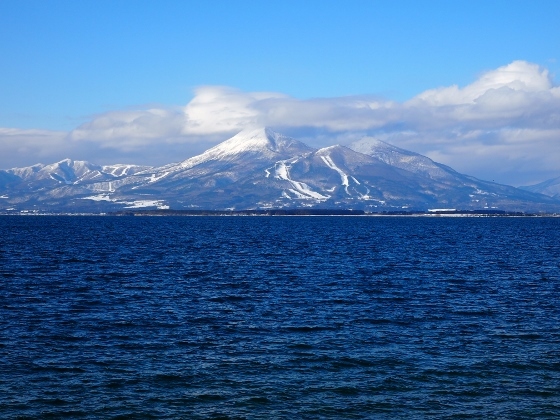 Lake Inawashiro has been designated as a part of Japan Heritage because it has been a mother lake of Asaka Development as well as of the current Koriyama City.